There is plenty of business education, but hardly any management education. What, then, are you to do as a manager performing quite well, thank you, only to be repeatedly bypassed by MBAs who screw up? Join them by getting an EMBA and then do damage control? Do you really want to sit in a nice neat row listening to lectures about action and engagement? Or pronounce on cases in companies that you never hear of before yesterday while your own first-hand experience is being ignored? Is it just the administration of business that interests you, or the practice of managing? Eventually people started asking me the question that should never be asked of an academic. “What are you doing about it?” (We’re supposed to criticize, not do anything about anything.) Duly embarrassed, I teamed up with colleagues from leading schools around the world to create the International Masters Program for Managers (impm.org). 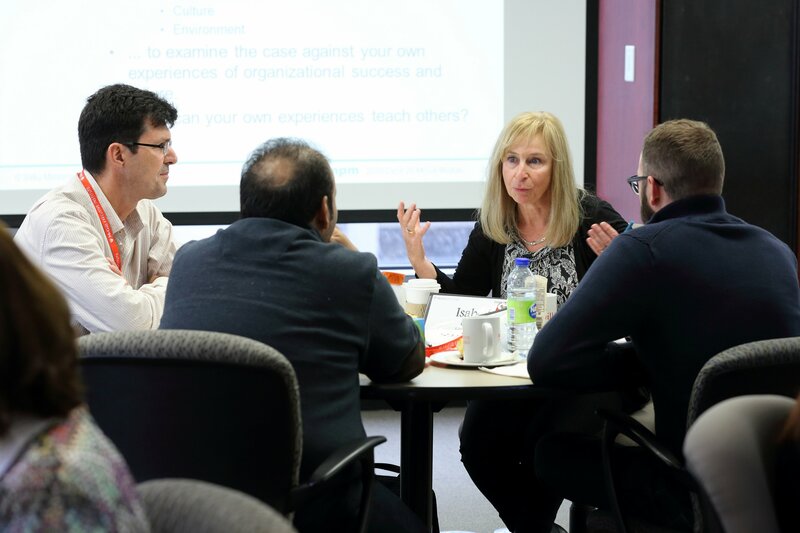 Think of it as another kind of “emba”: engaging managers beyond administration. While a manager cannot be created in a classroom, people who practice management can benefit enormously in a classroom that encourages them to reflect on their own experience and share their insights with each other. T.S. Eliot wrote in one of his poems that “We had the experience but missed the meaning.” This program is about managers getting the meaning of their experience. At the end of our very first module, on reflection, while everyone else was going around saying “It was great meeting you!”, Alan Whelan, a sales manager at BT, was saying: “It was great meeting myself!” We were off to a good start! 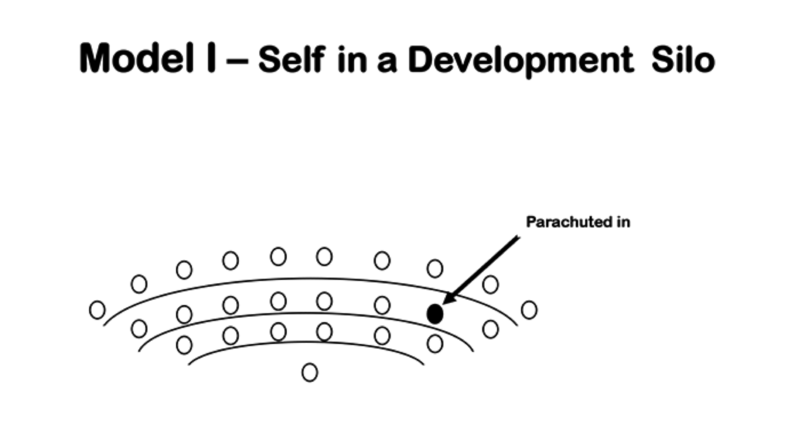 These managers are not lone wolves parachuted into class to sit in selfie-silos, as shown in Model 1. 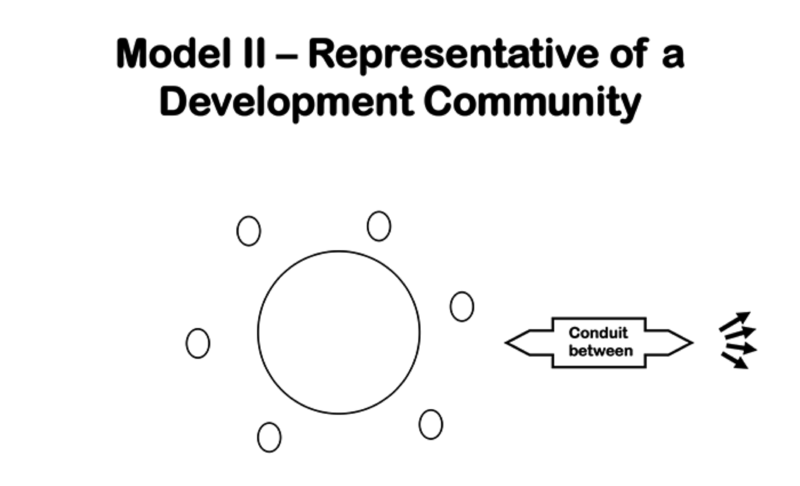 They are colleagues in a community of social learning, engaged in their common development, as shown in Model 2. This arrangement has opened the door to a variety of novel practices. • “This is the best management book I ever read”, IMPM graduate Silke Lehnhardt told colleagues at Lufthansa who were about to start the program. She was holding up her Insight Book, which was empty when she first received it. Every day begins with morning reflections, first alone as everyone records in that book thoughts about the learning and their managing—on the job, in the business, in their life. Then they share these thoughts with colleagues around their table, followed by discussion in a big circle of the most compelling of their insights. Shouldn’t every manager’s best book be the one that they have written for themselves? • It is intriguing what can happen in friendly consulting, where the concerns of each manager become the focus of attention of a small group of empathetic colleagues. One manager’s boss quit suddenly during the program, and she was struggling with whether to take that position. The hour of friendly consulting proved so helpful that they kept going over lunch. • Mayur Vova was running his jam and jelly company in Pune, India, while Françoise LeGoff was number two on the Africa desk at the Red Cross Federation in Geneva. They did the very first managerial exchange together, where the IMPM managers pair up and spend the better part of a week at each other’s workplaces. When the two of them arrived at the next module, they couldn’t wait to talk about their experience. At the start of that week, Mayur saw Françoise typing and asked: “Can’t a secretary do that?” Welcome to the worldly mindset: Geneva is not Pune! (That’s why we call it worldly, not global: the IMPM is not about becoming cookie cutter global, but about getting into other people’s worlds to better understand their own.) On the last day, Mayur told Françoise that he would be happy to meet with any of her staff. All of them lined up to convey through him their impressions of her management style. Better than a 360! Mayur “was like a mirror for me,” Françoise reported. • We encourage the managers to form an IMPact team back at work, to carry the learning into the company for sharing and action. In one small company that had run into a serious problem, the manager in the program, who had to pick up the pieces, formed such a team. He told us it saved the company. The MBA is fine so long as it is recognized for what it does well, namely train people for certain specialized jobs in business (such as marketing research or financial analysis). But it also has to be recognized for what it does badly, namely prepare people to manage. 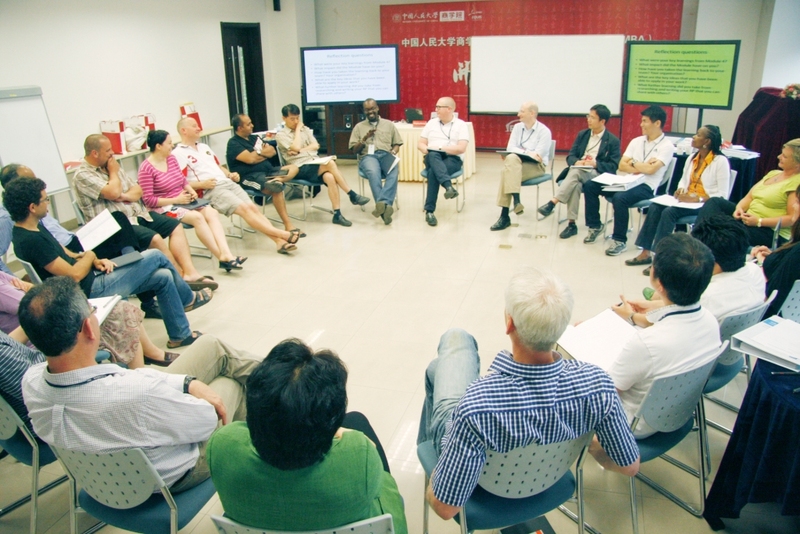 Beyond the MBA, it’s time for management education. 1 See Chapters 1-6 of my book Managers not MBAs (Berrett-Koehler, 2004). 2 See Gosling and Mintzberg, “The Five Minds of a Manager”, Harvard Business Review (November 2003). 3 Phil LeNir saw it, and took it in a different direction, out of the university. He was an engineering manager at a high tech company, concerned about developing his young managers, but with no budget for this or help from HR. He asked me what to do and I suggested that he get them together periodically for reflections and the sharing of experience. Over the course of two years, that worked so well—some of these managers started to do the same thing with their people—that we set up CoachingOurselves.com as a kind of do-it-yourself management development program. Now groups of managers in their own workplaces are downloading topics and engaging in social learning to address their common concerns. The IMPact group mentioned above made extensive use of CoachingOurselves in turning around its company.